Jeff is a partner in our advisory services practice based in Toronto specializing in corporate finance and mergers & acquisitions (M&A). 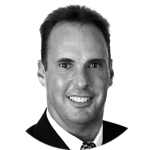 Jeff is also the national practice leader for M&A and private equity in Canada. Jeff was previously a partner and co-founder with Solaris Capital Advisors and its predecessor Firm Orenda Corporate Finance. Orenda was sold to Ernst & Young in 2004. Before joining Orenda in 1998, Jeff was with the M&A group of RBC Capital Markets, providing advisory services to corporate clients. Prior to that, he was with KPMG Corporate Finance for nine years, most recently as a vice president. For the vast majority of Jeff’s 25 year career he has been involved in the mid-market, selling private companies. As part of that process, Jeff has built long standing relationship within the North American private equity community. He has been involved in over 100 successful transactions in many industries.